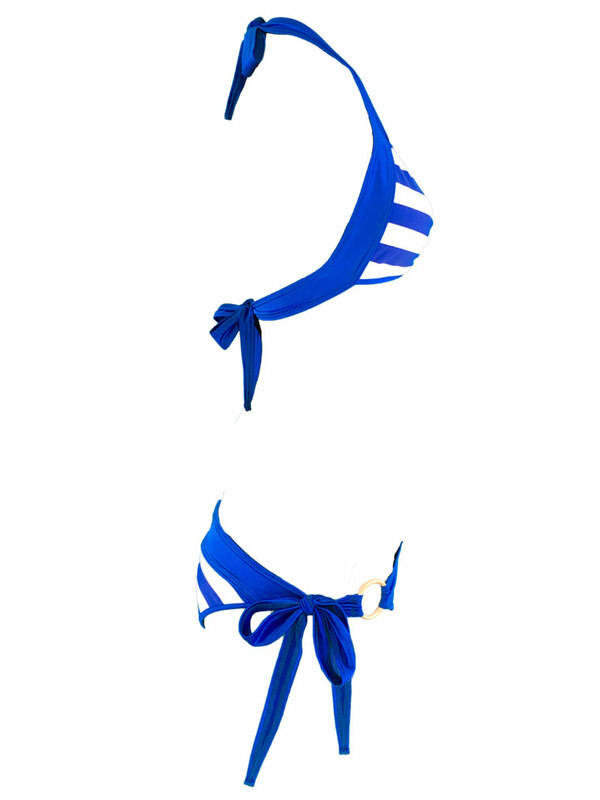 Sailor Bikini Top in Blue and White Stripes: festive enough for the 4th of July, yet also perfect for any occasion! Ultimate Cleavage in the bandeau sailor bikini top, because the cups do not slide apart like in many other styles of bikinis. Fully Lined, gold metal details. Sailor Bikini Bottom in Blue and White Stripes: Sailor bikini bottom has the perfect scrunch, and wide side ties which give a balanced look with some added coverage on the sides.